A black scoop neck top in a blend of fabrics that feel wonderful on your skin. 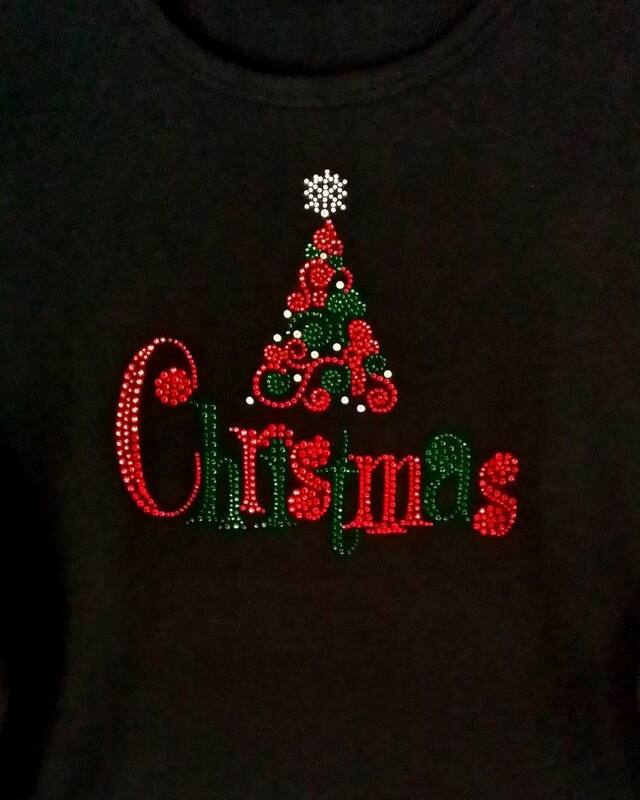 The rhinestone motif is all red, green and crystal stones. This motif is 8" high and 9" wide it really stands out in a crowd. If you love bling you will love it. Fabric is 60% cotton and 40% Poly. Click on Black Scoop Neck Top to see a full view of top.